Lewd Shadowmancer: The Concubine Contract is live! Can becoming the villain change who you are? Nathan’s life has been a vile pit for longer then he would like to admit. Searching for an escape, he spends the last of his cash on a VR game called Lewd Saga. Upon entering the VR world, the player soon discovers he doesn’t have to live by society’s rules any longer. He quickly realizes players will pay real money to exact revenge on other players. Nathan, who feels like life took everything from him, can now carve out his destiny and make those who ever crossed him know his dark power. Will Nathan succumb to his darkness when there are greater evils trying to infect the virtual fantasy world? Will the love of another breath life into his cynical heart? Will he question if he is the true villain, or something else? I had often heard my books are not LitRPG. (Which is true because they fit into GameLit as it were.) It always kind of rubbed me the wrong way and I write what I like to read, despite what rules are in place for any genre (I think we need more sensual adventures in all books from fantasy to sci-fi and every in between but that is another blog post). 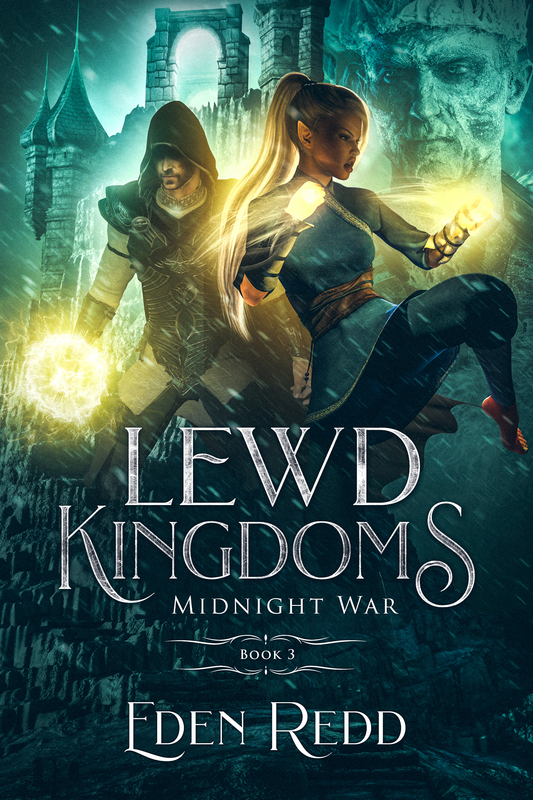 To test myself, I wanted to see if I could write a sensual, dark fantasy story and add all the stats, progression and loot that is synonymous with the LitRPG genre. Lewd Shadowmancer was born (Written?). I wanted to combine the rogue and necromancer aspects into a a single character and see how it would unfold. The story was a lot of fun and…well..you have to read it and give me your thoughts. Eden’s Lewd Fantasy and Sci-fi Garden is up to 161 members! YAY! I hope everyone had a great Turkey Day and bring on Christmas! Next Lewd Shadowmancer Paperback is Live!